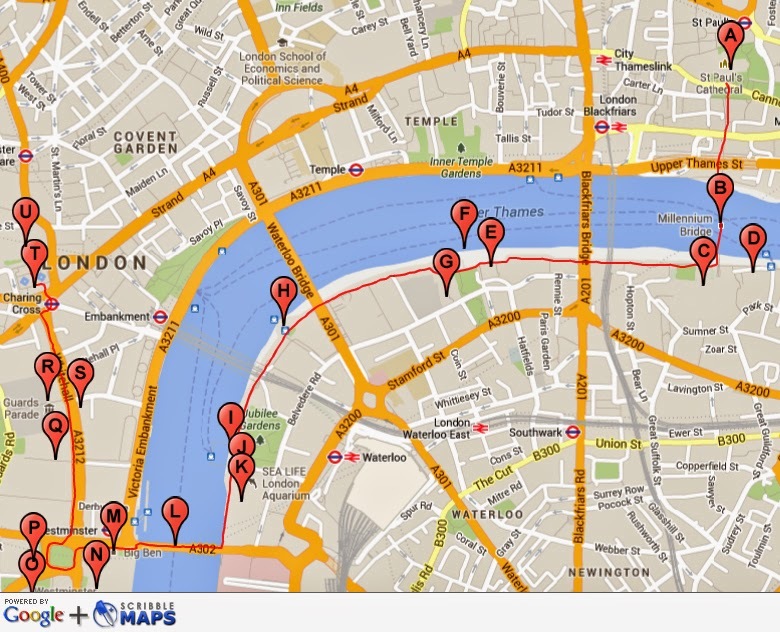 How'd you like to go on the very best walk in London? 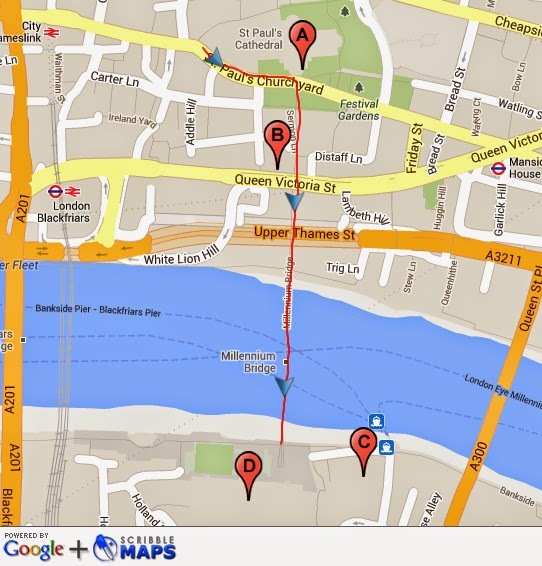 Well here it is, the big daddy of all the London walks. This is the wander that I take all my overseas visitors on. For anyone who comes to stay with me this one is a must-do, obligatory excursion on which I come along and enthuse about the many and wonderful things that can be seen along the way. I will never be English, but you can safely bet your last dollar that I'll always be a Londoner. This walk ticks a lot of the big-name boxes: St. Paul's Cathedral, the Millennium Bridge, the Globe Theatre, the London Eye, the Houses of Parliament, Big Ben, Westminster Abbey, Downing Street, Whitehall, Horse-guards Parade, Trafalgar Square, the National Gallery and the National Portrait Gallery. 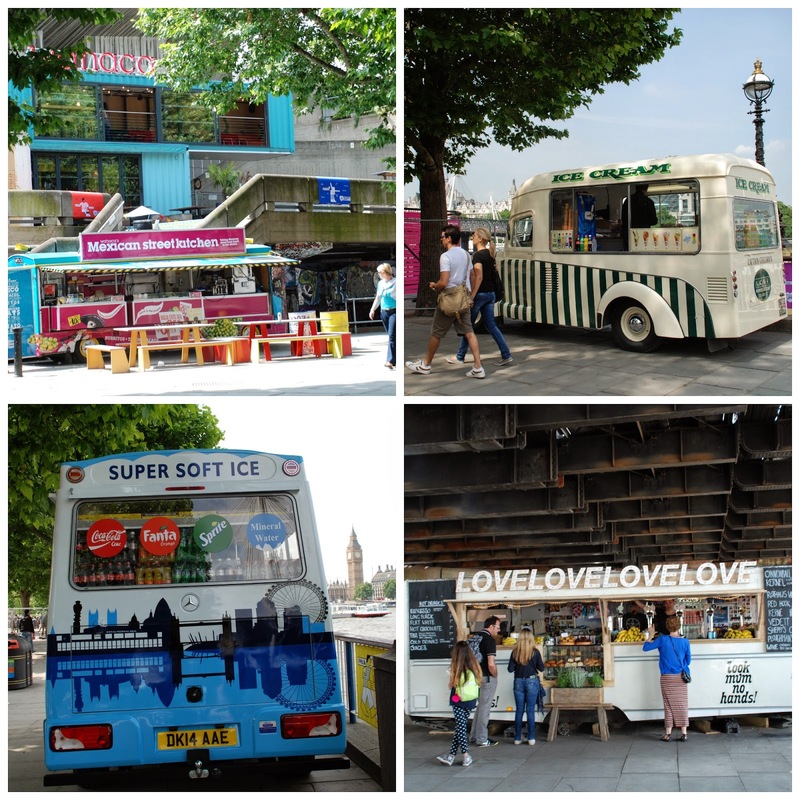 It's a kaleidoscope of the very best that London has to offer. 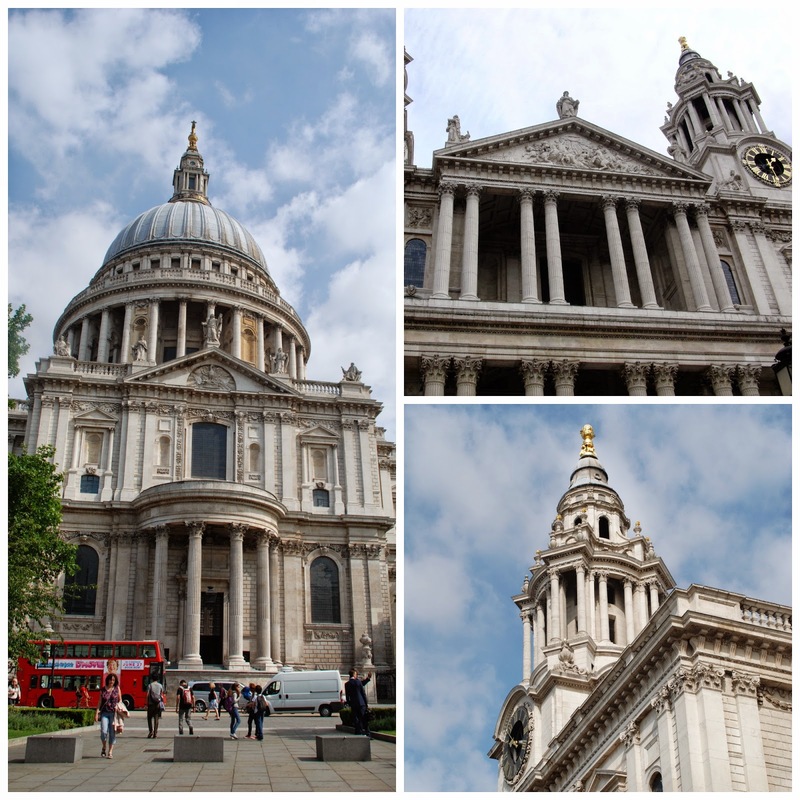 And where better to start than St. Paul's Cathedral? We usually grab a fortifying cappuccino and linger for a moment or two in St. Paul's Churchyard. It's a busy thoroughfare these days, but then I guess it's always been a tad on the busy side in this neck of the woods. In the old days the area was packed full of the coffee houses from which the whole banking sector of today has grown, and I imagine there was a lot of hustle and bustle in the alleyways and byways around the old cathedral. Yes, I should mention that this is our new cathedral. The original one was burnt down in the Great Fire of London way back in 1666, and what we have today is the replacement built by Sir Christopher Wren. It rose like a phoenix from the ashes to become a symbol of the city's hopes and aspirations for a better, fire-proof future. London must have been an amazing place in the decades following the fire as the people set about re-building their city. Just imagine the noise and activity as everything was re-constructed. There must have been forests of scaffolding with draught horses pulling loads of building materials this way and that, as an army of masons and builders grew rich on the profits. These days, however, I think the area immediately around the cathedral is way too built up. In my view Wren's masterpiece deserves to be appreciated from a distance. What we need (and hang the expense) is a huge piazza where we can stand back and admire the line and symmetry of this gem. I remember how wonderful it looked when they were working on Paternoster Square and knocked down the (very ugly) buildings that crowded around the cathedral. For a brief period one summer we had the most sublime views of the uninterrupted line of St. Paul's and it looked amazing. As it happens the one place where you get a really good view back to the Cathedral is from the Millennium Bridge. If you want to take some great photos that's a really good spot to go snapping. I remember going for a trot across the newly constructed bridge just after it had been built and gripping the handrail in horror as it started to sway in the breeze. They closed it after that and fixed it so that it wouldn't wobble and scare away all the lovely tourists, but for some of us it will always be the Wobbly Bridge. To get to the Millennium Bridge, just follow the signs down the wonderfully named Sermon Lane and cross two busy main roads (Victoria Street and Upper Thames Street) at the traffic lights. 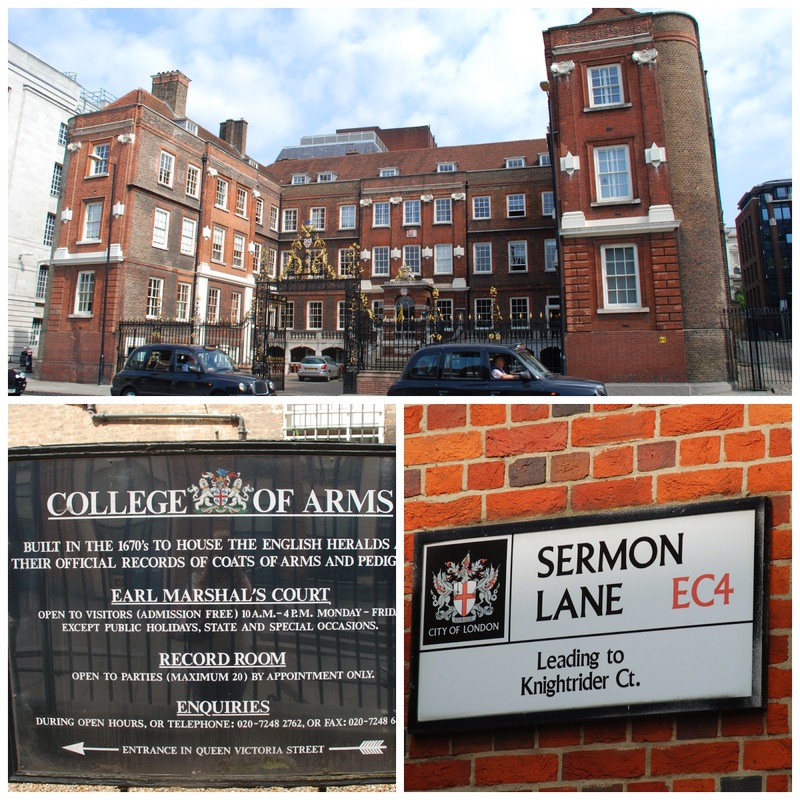 On your right as you cross Victoria Street, you'll see the College of Arms, where the really posh people go to register their coats of arms. 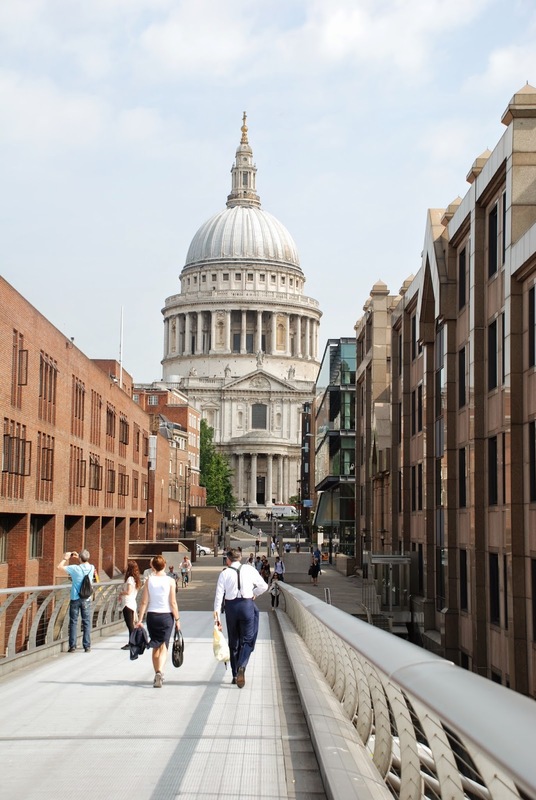 Be sure and pause once you get onto the Millennium Bridge to cast a glance back at St. Paul's. Push on a bit further and cast a glance to your left, and you will have a first class view of Tower Bridge, a bridge or two over, in the distance. The very tall pyramid-like structure on the right is the Shard, our tallest building and the strange squashed Tetra Pac building is another office building under construction, which is affectionately known to city workers as the Walkie Talkie, and just behind it (out of frame) is the Cheese Grater. It's nice to see that the spirit of Shakespeare lives on in the creative names that they come up with in these parts! Trot on a bit further and cast another glance to your left and you will see the reconstructed Globe Theatre. 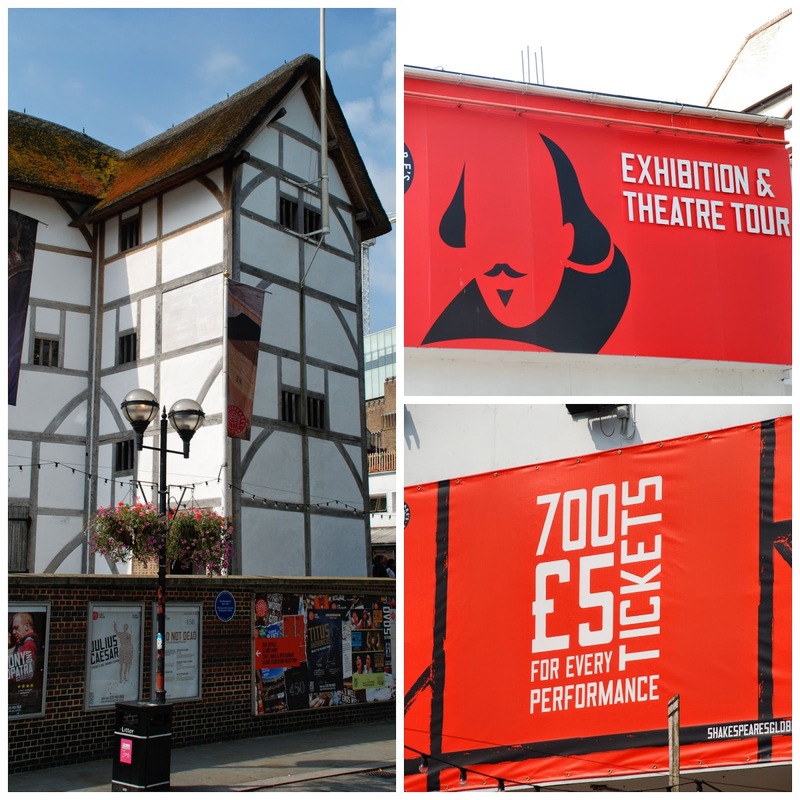 It's not the original joint in which ole Bill Shakespeare actually staged his plays. That bit the dust a very long time ago. No, this is a faithful reconstruction that was built more or less on the site of the original in the 1990s. Never mind the authenticity, it's a really cool building. And if you want to go to listen to the works of the Bard you can pop in there for rather less than a king's ransom. They advertise 700 seats every performance for the princely sum of £5 each, which can't be bad to watch professional actors perform in the Great Man's home theatre. Just wrap up against the elements and bring a cushion. As you reach the south bank of the Thames you will see the hulking grandeur of the Tate Modern in front of you. Once upon a time this was the Bankside Power Station, but these days it's one of my favourite museums in London. I love how huge, accessible and unpretentious it is. I also enjoy how it covers pretty much the entire canon of modern art. Anyone who's drawn, squiggled, splodged or splashed anything significant will have a canvas hanging in there. 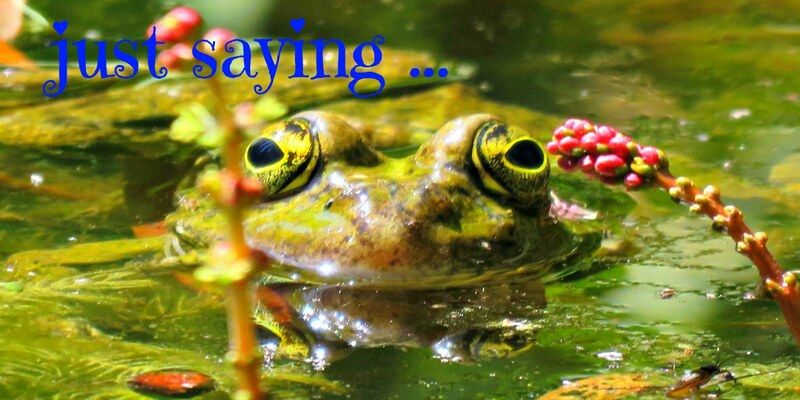 It's an education to spend a day strolling slowly around learning about their work. I have a feeling that the collection comprises the B-list paintings of the A-list artists. Maybe I'm wrong, but it doesn't really matter to me as I'm there to enjoy the breadth of what's on display. They've also got a great restaurant up on top with superb roof-top views across the city. If you can resist the allure of the Tate Modern, swing a right and head on down the pedestrian pathway that hugs the river bank. The Thames is a pretty busy thoroughfare. I'm always amazed by how many craft of all shapes and sizes are bobbing along on the waves. The next stop on my itinerary is the Oxo Tower. There's a fabulous fancy restaurant at the top with fantastic views across the river and wonderful food. 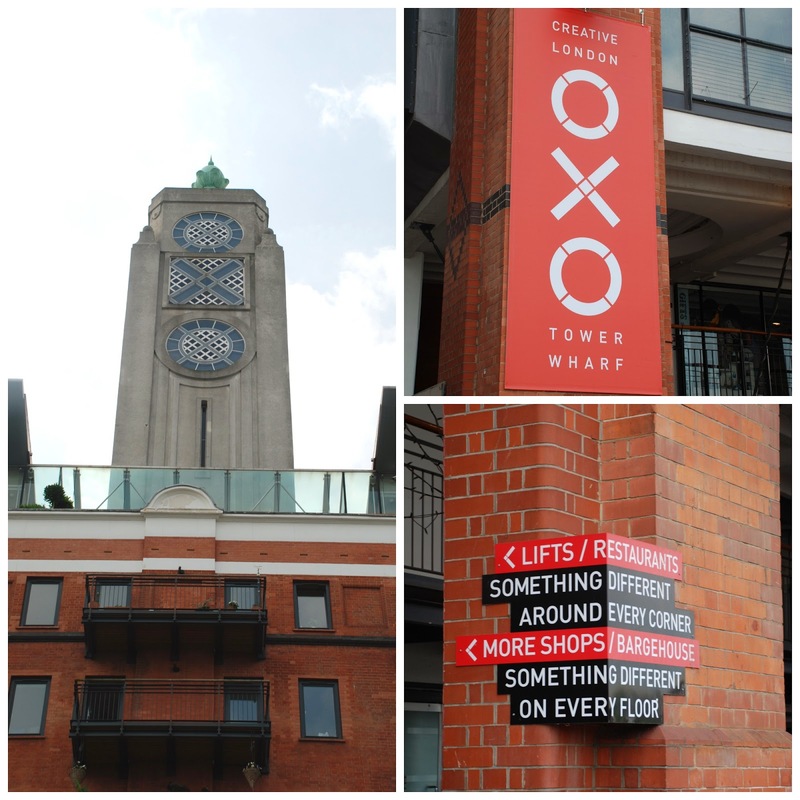 The Oxo Tower Wharf is a great mixture of interesting little shops, cafés and galleries. London Beach is next, just beyond the two wooden jetties that jut out into the water. This may or not be a big splash depending on the time of the year you stroll by. Obviously in the summertime the weather is a bit more favourable for all things beach-related, and they have amazing sandcastle competitions and beach parties down there. The other day we pretty much had the place to ourselves. Climb back up to the pathway and carry on. Next you'll come to Gabriel's Wharf, which is a good lunch stop. There are loads of little restaurants and bars huddled around the old wharf. 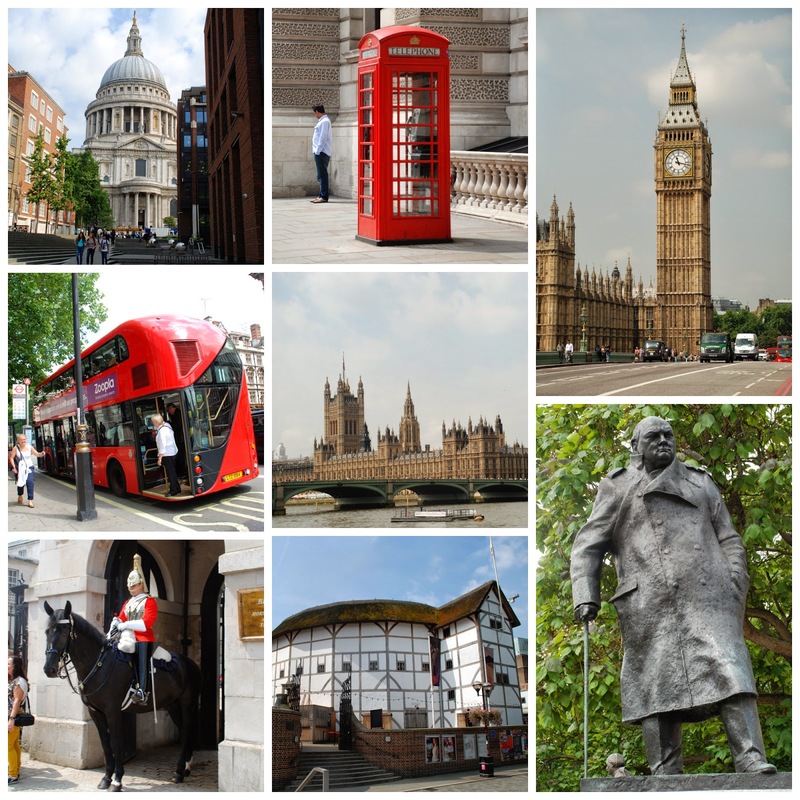 Carry on a bit further and you will reach the National Theatre with the cloaked statue of Sir Laurence Olivier outside strutting the boards as Hamlet. Now you've reached the South Bank Centre, which is one of my favourite bits of London. I'm not a huge fan of the sterile brutalist architecture, but I love, love, love how it's been colonised by the locals who have added colour and given it a flavour very much removed from the austere vision of the original architects. 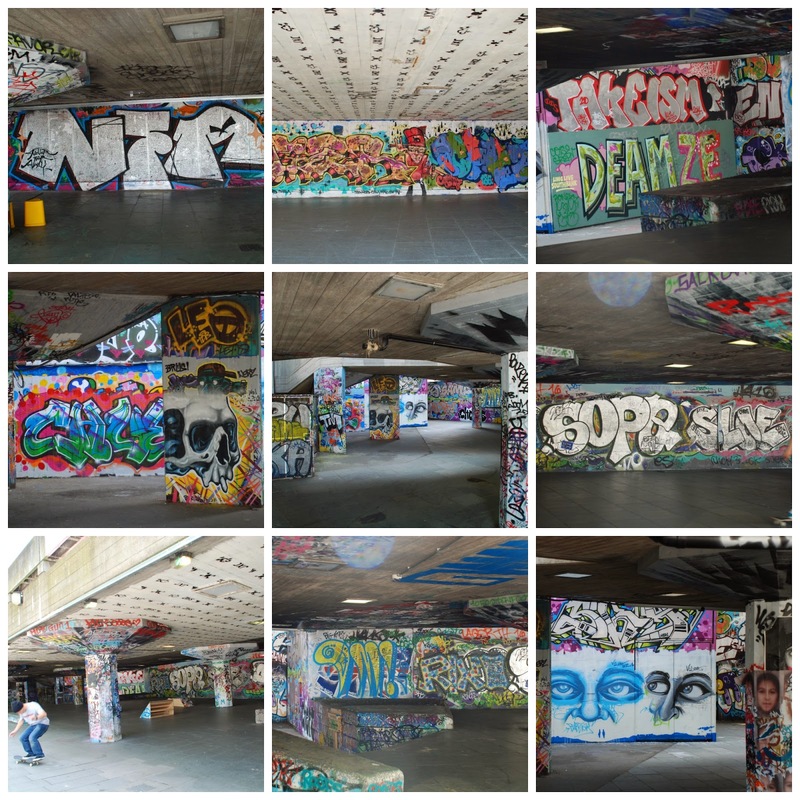 It's also a great space for the arts with the National Theatre and the Hayward Gallery. There are usually a number of free foyer exhibitions, and the whole thing has a brilliant creative vibe, which always energises me. There are great places to eat if you fancy an impromptu snack and don't have a reservation. And there's a ship load of street art to admire, especially around the skateboarders' park. Most weekends this place is full of young men showing off their skills on skateboards and bikes. I don't know what they do for their day jobs, but they always amaze me with the stunts they can perform on two or four wheels. Emi, my eight year-old, would happily hang out down there all day pretending that he was one of the cool kids. And round about now the London Eye should start to loom large on your near horizon. And, as you keep going, you should also be treated to some great views of Big Ben and the Houses of Parliament on the other side of the river. 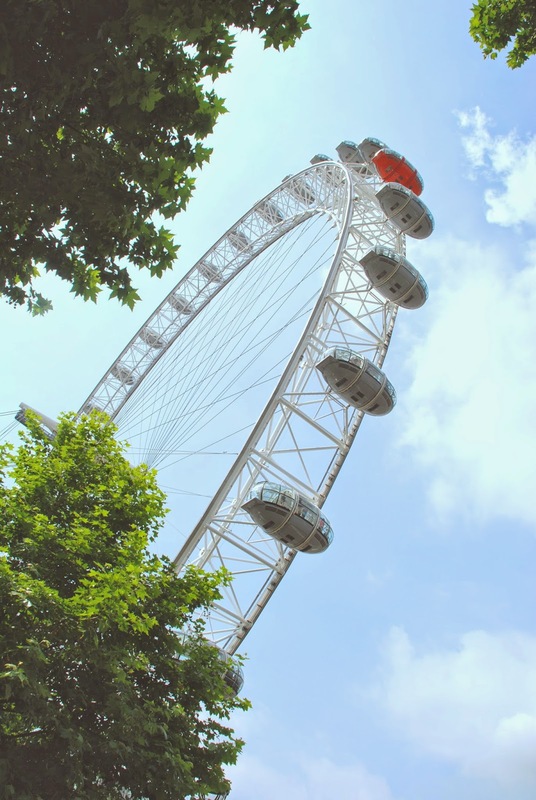 On the way past you'll see the Aquarium and the London Dungeon. The Aquarium is a great place to while away a wet afternoon. Inside they have an amazing collection of sea creatures, and I'm always blown away by how they've managed to house them in the old County Hall Building. It feels like a purpose-built-aquarium building when you're inside. Now, having said all that, if you've only got a limited amount of time this aquarium isn't radically different from the dozens of other aquariums you'll find in other places so I wouldn't put in on the list of quintessentially London experiences. And as for the London Dungeon, well ... I've never been brave enough to go inside ... .
Now the next thing we need to do is shuffle on over Westminster Bridge. And on the way across don't forget to look back and admire the London Eye and the old County Hall Building. As you come across the bridge, however, it's easy to forget everything else when you come face to face with Big Ben. He's a very splendid old clock, and when he sounds the hour it's just magical. As you come off the bridge don't forget to nod to Boudica in her chariot. As the Romans found out to their cost, she's not a woman to mess with. Now we're ready for a jog around Parliament Square. 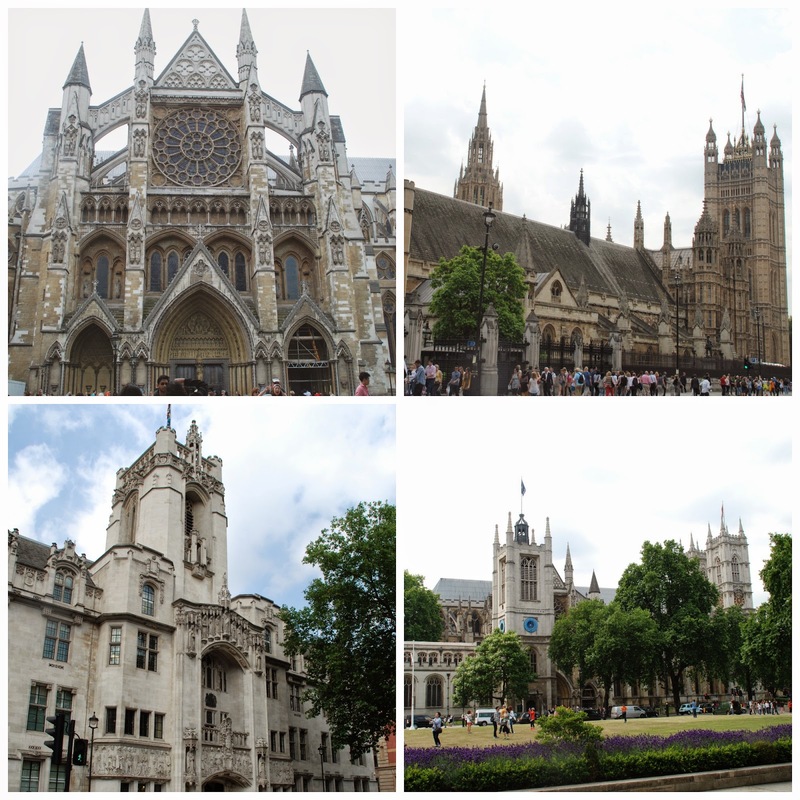 You can stop for a closer look at the Houses of Parliament, Westminster Abbey, the Supreme Court (the highest appellate court in the land) and the statues of the great statesmen to be found dotted around the square. 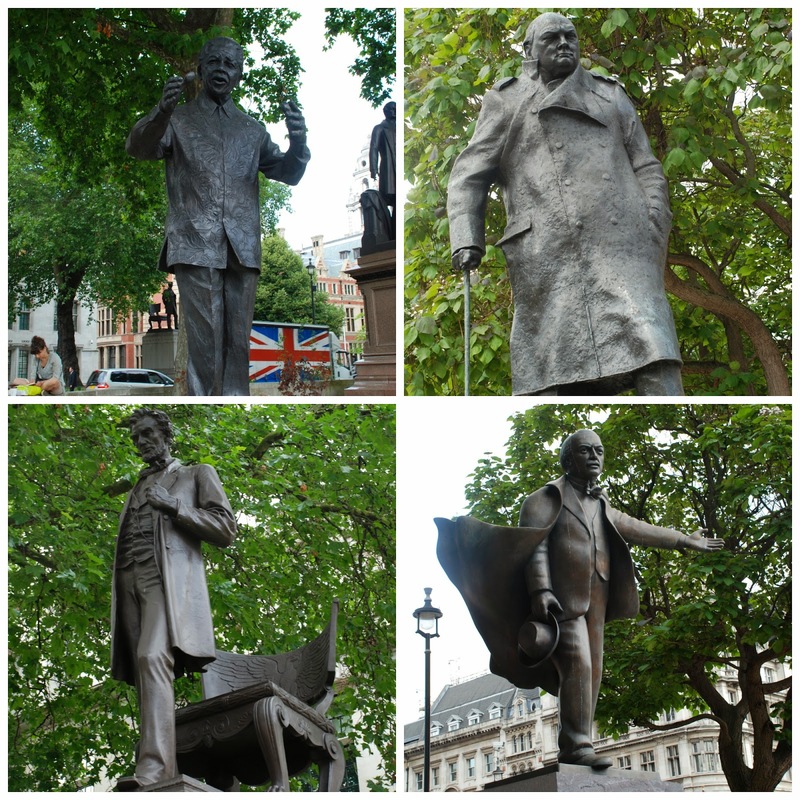 Amongst others you should watch out for Winston Churchill, David Lloyd George, Abraham Lincoln and Nelson Mandela. They all hang out and shoot the breeze on Parliament Green these days. Now, I can feel another map coming on. 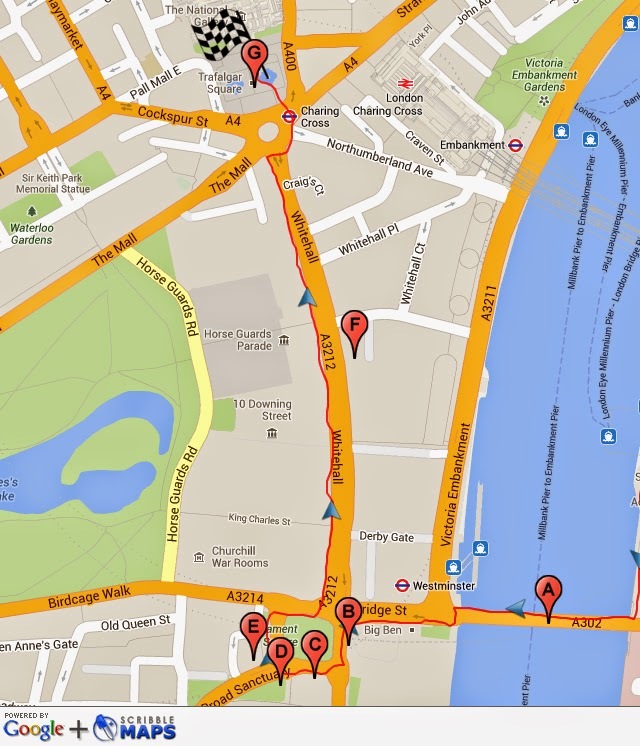 This one shows how you navigate your way around Parliament Square and up Whitehall to Trafalgar Square, where the walk finishes. Carry on up Whitehall and the second road on your left is Downing Street, the official London residence of the British Prime Minister and the British Chancellor of the Exchequer. 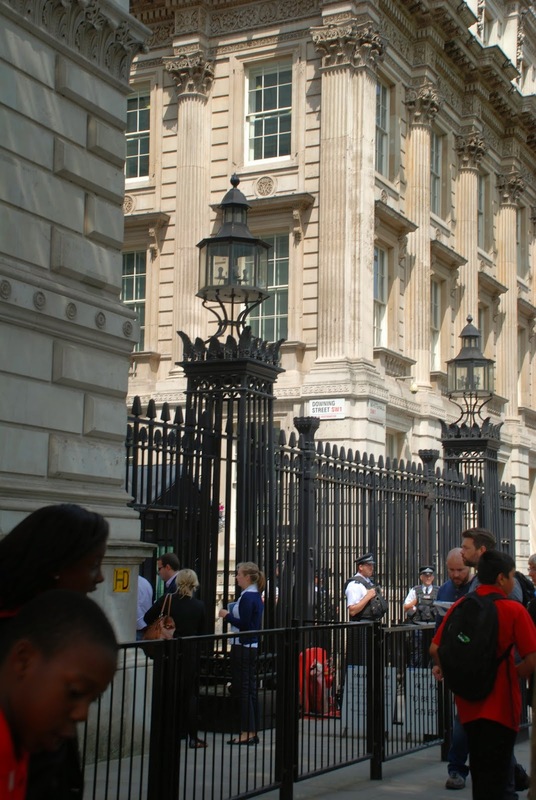 There's a big road-block at the start of Downing Street so you can't get enter it unless you've got an official appointment with the PM or the Chancellor. The best you can hope for is to squint through the bars and get a look at the place from a distance. 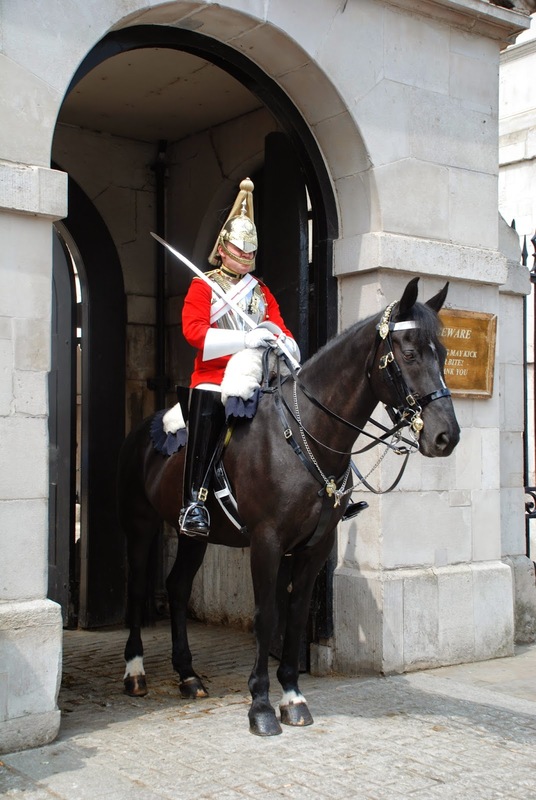 If you walk on down Whitehall you'll come next to Horse Guards Parade, also on the left. This is usually a more picturesque stop than Downing Street. The horses and the guards dressed up in in their ceremonial outfits look really impressive, although there are usually so many tourists around that it's hard to move. Maxi, my dog, gets a real bee in his bonnet around horses, so we normally have to shuffle on before he causes some sort of military skirmish. When you've finished with the Horse Guards carry on over to the opposite side of the road where you'll see the Banqueting House. When we were passing it was covered in scaffolding, but it's normally an impressive venue. Way back in 1649 they built a scaffolding outside on which they executed King Charles I. They wanted as many people as possible to see the king's demise so that they would lose heart in the royalist cause. Immediately inside from the site of execution is a truly splendid room with an amazing ceiling that was painted by Rubens. At least the poor man had something sublime to gaze upon in the last minutes of his life. 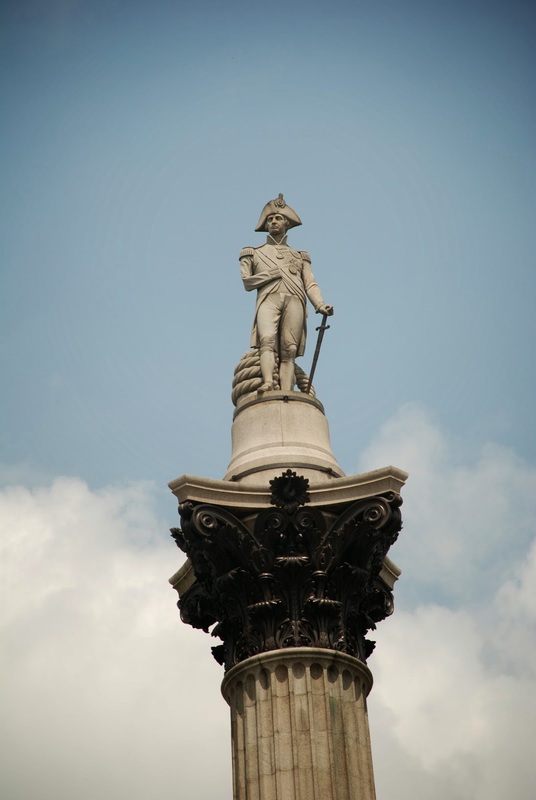 Now keep on going to Trafalgar Square, where you'll see Admiral Lord Nelson keeping look-out on top of his column. On the other side of Trafalgar Square you'll find the National Gallery with the National Portrait Gallery off to the right hand side. So if you've got any energy left you can finish off the outing with a turn around the pictures. Or if you're not up for any more art you can always chill out in Trafalgar Square with the pigeons and all the other people. It's usually heaving with folk. Watch out for the fourth plinth. They've been putting random works of art up there. When we stopped by they had a very handsome blue rooster strutting his stuff, and very fine he looked too in the lovely sunshine. It's a terrific walk. If you keep going you should easily cover it in an hour and a half to two hours. However there are so many things to stop off and see that it would be better to stretch it out all day. Just wear comfortable shoes and have a ball! I know now what I want to do the next time I visit London I visited St Paul's and slept out overnight for the Queen's silver jubilee and that was some time ago as she has just celebrated her diamond !!! Yes that is an absolutely fabulous walk, we did it when we were there in July of 2007. Lots of walking done in London, but I remember it fondly. I have never been to London ... in fact I do not even have a passport! 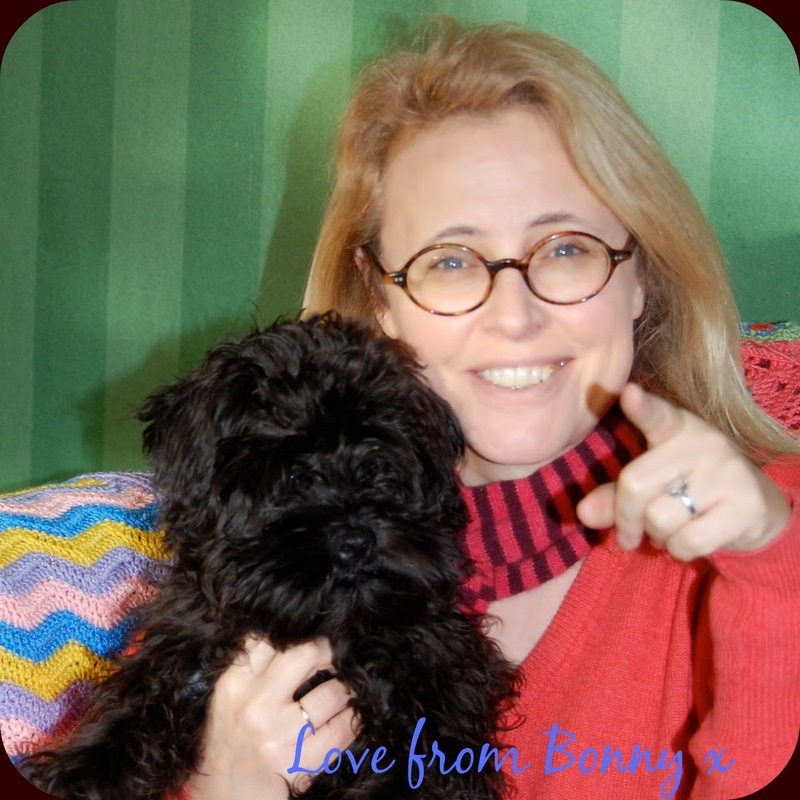 So I especially love your tour of your town! Thanks for telling us one of your travel secrets. What a great walk! I've been all these spots, but not in one day. I can't wait to try it! Wow... what a great tour you have give us. Thank you for sharing. We were in London in the early 1970s so this brought back a lot of good memories. Great photos! Well, you've fairly worn me out taking this sojourn. I've been to all these spots but never in one go. I like your comment about the locals adding their own color. The images and pieces are perfect for the skateboard park but I hope no one tags your iconic buildings. Thanks for the tour and for contributing to this week's Monday Mural. A beautiful tour! I would love to walk it in person someday. Thanks for sharing with SYC.